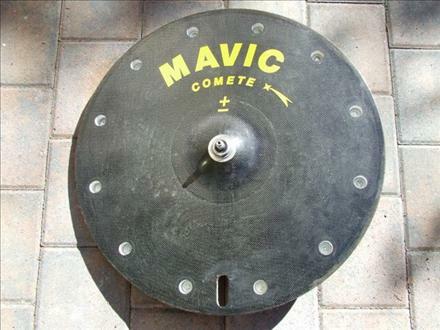 Mavic Comete -/+ Disc Wheel featured 12 x removable weights to reduce & weight up disc wheel. Weights were installed usually in combinations of either 3, 4, 6 & 12. The Comete Disc was also supplied with a track adapter & lock ring.